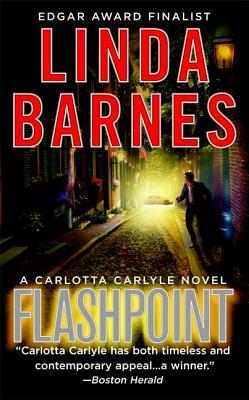 When six-foot redhead ex-cop and Boston-based private investigator Carlotta Carlyle agrees to help an elderly recluse burglar-proof her apartment, the last thing she expected was that the woman would turn up dead. Now Carlotta must find out why the eccentric yet seemingly harmless Valentine Phipps isolated herself—and needed protection. Who would want to hurt Valentine? What was she hiding behind closed doors? Is there a connection between her murder and an age-old mystery that the city's top brass—and its real-estate moguls—want to keep buried? But the most troubling question of all involves the victim's home health aide, Gwen: Why did she introduce Valentine to Carlotta in the first place? The race to catch one of Boston's most ruthless and ambiguous criminals has just begun….